Early trends in the Assembly Election results show Congress leading in both Rajasthan and Madhya Pradesh. If the trends continue, Congress is likely to form the government in both the states. While the party, will definitely want to ensure good governance in these states after it comes to power, it also needs to maintain a healthy mix of young as well as well as seasoned faces in both the state as well as at the Centre. Choosing the next chief minister in these states, therefore, will require a fine balancing act from Congress president Rahul Gandhi, especially keeping the 2019 general elections in mind. Here are some of the key candidates, who are likely to make it to the chief ministerial post, if Congress wins the Assembly Elections in Madhya Pradesh and Rajasthan. Kamal Nath: The former urban development minister and the veteran Congress leader is credited with leading the party’s election campaign in Madhya Pradesh. He arranged funds for the campaign as the Congress took on the ruling Bharatiya Janata Party eyeing a fourth successive term under popular chief minister Shivraj Singh Chauhan. The 72-year-old Nath is also credited with formulating the booth-level strategy for the Congress that he fine-tuned over the last three years. In fact, it was Nath and former chief minister Digvijaya Singh who gambled with the strategy of going all out to woo Hindu voters. Singh, it is understood, supported the Congress’ election campaign and smoothed over differences among leaders while Nath decided that the party would go all-out on temples visits and draw a manifesto replete with symbols — such as cow shelters and market cow urine-based products — that would resonate with Hindu voters. 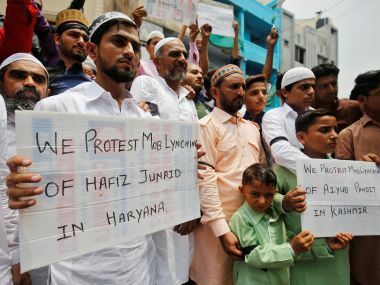 The move, along with pushing hard on the BJP that faced anti-incumbency in the Malwa (north) region after the Mandsaur protests, is likely to have helped the party narrow the vote-share gap. Jyotiraditya Scindia: He is among the most well-known GenNext faces of Indian politics who managed to hold onto his seat and his position, but even then Madhya Pradesh will not be Jyotiraditya Scindia’s playground for some time. The scion of the erstwhile Gwalior royal family has a lineage, both personal and political, that few can boast off. This, combined with his natural political acumen, the 47-year-old has always managed to find a foothold be it in the Union Cabinet, when his party is in power, or the inner circles when out of it. The run-up to the Assembly election in Madhya Pradesh was marked by reports of in-fighting in Congress over the chief ministerial candidate. Scindia has since then come on record to say the entire state leadership worked as a “united front” in a bid to dislodge the BJP government. Sachin Pilot: A former Member of the Parliament from Ajmer, 41-year-old Sachin Pilot has served as a minister of company affairs in the Manmohan Singh government. He is the face of the Congress' revival plan in play in Rajasthan since 2015. Sachin, who contested from the Tonk Assembly seat, is said to be close to Congress president Rahul Gandhi and is an aspirant for the chief minister’s position in the western state. Sachin is credited with achieving three crucial bypoll wins for the Congress after the party’s rout in the 2014 Lok Sabha election and strengthening the party base among the OBCs. A Gujjar leader, Pilot will square off with senior party colleague and former chief minister Ashok Gehlot for the top job. 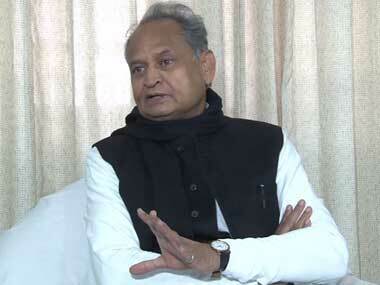 Ashok Gehlot: A two-time chief minister of Rajasthan, Ashok Gehlot was also part of the council of ministers under prime ministers Indira Gandhi, Rajiv Gandhi and PV Narasimha Rao. Gehlot is a national general secretary in the Congress as well as in-charge of the organisation and training. He represents the Sardarpura constituency of Jodhpur in the outgoing Assembly. Born in 1951, he belongs to a Mali Gehlot family and holds a Master’s degree in economics. As chief minister, Gehlot is famous for launching populist programmes, notably a free medicines scheme that was ended by his successor Vasundhara Raje. Gehlot found himself battling corruption charges when the International Consortium of Investigative Journalism in November 2017 cited his name in the "Paradise Papers". However, nothing has been found against him. Jitendra Singh: Of the two dynasts in the three-legged race to be the Rajasthan chief minister, Jitendra Singh is the underdog though only politically. A member of the erstwhile royal family of Alwar, Singh was the former minister of state for youth affairs and sports and a MoS for defence during UPA II. Singh represented Alwar in the Lok Sabha from 2009 to 2014 and is an All India Congress Committee secretary. 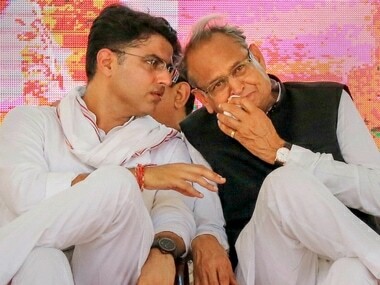 The battle for the top post has been largely seen between Sachin Pilot and Ashok Gehlot, perhaps the reason the party steered clear of announcing a CM candidate. 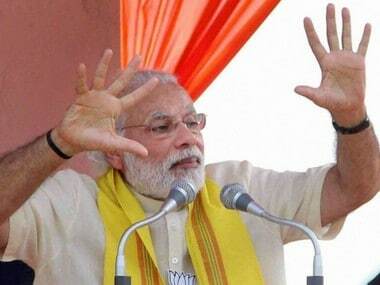 Singh keeps a low profile but is believed to be close to Rahul Gandhi. Could he spring a surprise? 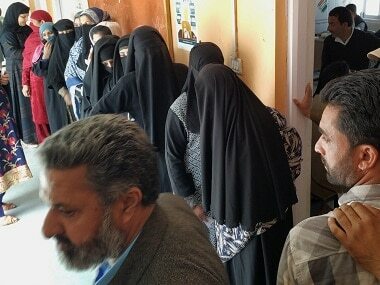 Highly unlikely but nothing is certain in politics.